The first day of the second test between Australia and Sri Lanka saw the Baggy Greens completely dominate the day’s play after suffering initial jolts. This is the First Test Match ever to be played in the Australian capital city, Canberra; as the Manuka Oval in Canberra became the 118th ground to have hosted a Test Match. Having won the toss, the Australian skipper, Tim Paine decided to bat first on a track which was completely flat, however, pacer Vishwa Fernando wreaked havoc into the Kangaroos’ top-order as Australia were lurching at 28/3 inside the initial 9 overs of the match. 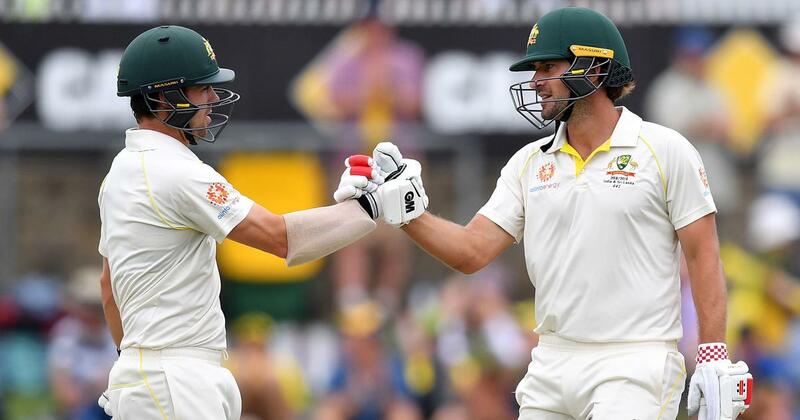 But opener, Joe Burns, along with Travis Head initially steadied the Australian Innings and later dominated the visitors by putting up a partnership of 308 runs. En route to their majestic partnership, the duo both reached to their respective centuries. Travis Head was finally dismissed for a well-made 161 by Vishwa Fernando, dismissing the southpaw through an LBW. At the end of day’s play, Australia put up a mammoth total of 384 after losing just 4 wickets in the possible 87 overs of the day’s play; Joe Burns 172* along with Kurtis Patterson 25* are still present in the crease. Vishwa Fernando was the pick of the Sri Lankan bowlers after picking up 3 wickets for 99 runs, while debutant Chamika Karunaratne was also responsible for the dismissal of Marnus Labuschagne. It will be interesting to see how the Lankans respond on this flat deck when they are asked to bat by the Australians, considering the daunting bowling attack of the Baggy Greens. Jason holder after winning the toss on the first day of the Second Test between Windies and England asked the visitors to bat first. Having dominated the entirety of the First Test, the Caribbean team reproduced the same in the Second test too. Pacers Kemar Roach and Alzarri Joseph inflicted mayhem to the English middle-order as four of the top-5 batsmen were dismissed in single digits. England at one stage were reeling at 78/5 with only Jonny Bairstow trying to rescue the submerging English ship with a quick-fire 52 off 64 deliveries before he too was adjudged plumb in front of the wicket from a Kemar Roach’s delivery. Ben Stokes too was dismissed a couple of overs after Bairstow’s dismissal, as he was comfortably caught behind by Shane Dowrich off Shannon Gabriel’s bowling. An 85-runs stand, however, between Moeen Ali and Ben Foakes ensured that the English weren’t bundled out within 150 runs. This partnership was finally broken by Roach as he got the better of the English left-handed batsman, thus reducing the visitors to 178/7. A flurry of wickets thereafter meant that the English team were bundled out for 187 runs, with Moeen Ali being the top scorer of the innings after scoring 60. 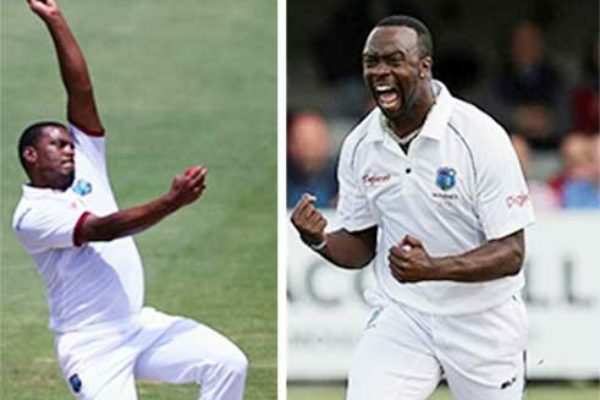 Kemar Roach and Shannon Gabriel were the pick of the bowlers, picking up 4 & 3 wickets respectively. In reply, the West Indian openers, Kraigg Brathwaite and John Campbell, negated the English threat carefully and watchfully scoring just 30 runs, however, more importantly not losing any wickets until stumps. It is expected that the West Indies will gain a handsome 50-100 runs lead in the innings which would result in them dominating the English batsmen in the second innings.